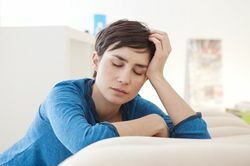 Patients who are suffering from chronic fatigue syndrome (CFS) can experience severe tiredness, difficulty sleeping, and other symptoms that negatively affect their quality of life. Rather than treating this condition solely with synthetic drugs, Dr. Bret Mosher offers complementary medicine to provide patients with effective techniques and education on how to treat chronic fatigue syndrome naturally. Complementary medicine involves taking a holistic approach to treatment that considers a patient’s lifestyle and background. The cause of CFS is currently unknown, but many experts believe it may be triggered by a combination of factors. The goal of dietary changes is to better regulate your digestive system, decrease inflammation, and help you sustain energy. Dr. Mosher believes that the mind and body are interconnected with one another, and attention must be given to both in order to improve your quality of life. This ancient form of Chinese medicine involves placing very thin needles in strategic areas around the body to stimulate the flow of energy. Acupuncture is thought to strengthen the immune system by releasing endorphins while also increasing the number of white blood cells, T-cells, and antibodies. Acupuncture may also reduce harmful toxins in the body, regulate hormones, and reduce stress. Dr. Mosher may recommend mindful breathing and other relaxing activities to reduce stress and help you manage pain levels. Movement is an integral part of CFS treatment. Dr. Mosher will design an individualized exercise program to gradually boost your activity levels. Whether you already exercise, or you have been sedentary for a period of time, Dr. Mosher will work with you to safely incorporate exercise back into your life. During your consultation, he will discuss your symptoms and medical history in order to better understand what might be contributing to your condition. He will then use this information to formulate a personalized CFS treatment plan that will address your concerns and improve your overall wellbeing. Dr. Mosher believes that the mind and body are interconnected with one another, and attention must be given to both in order to improve your quality of life. When you visit our practice for a consultation, he will spend all the time necessary to fully grasp the nature of your CFS and then formulate a treatment plan accordingly. Contact us online or by phone at (858) 679-2995 to schedule an appointment today.